New Skoda Superb is perfect amalgamation of luxury, performance and safety. It is thoughtfully conceptualized as well as uniquely designed. This sedan is integrated with tiptronic automatic transmission gear box, which helps to navigate effortlessly through city traffic. The Climatronic air conditioning system, which helps in cooling entire cabin within no time. This also helps in adding more driving pleasure to the passengers seated inside the vehicle. It is equipped with latest generation of active safety features such as Anti-Braking System which helps in preventing the wheels from getting locked, even during hard or sudden braking. 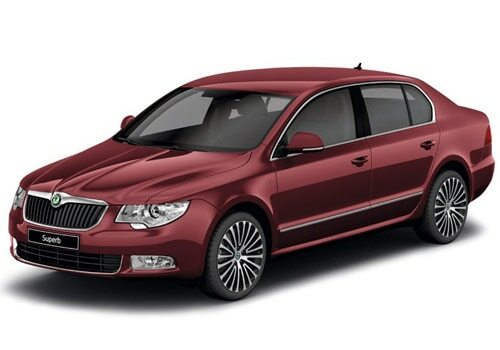 Skoda Superb price range is between Rs 18.07 lakh – 24.38 lakh (ex showroom Delhi). The vehicle is available in varied colors such as magic black, candy white, amethyst royal. Skoda Superb features integrated are Power windows rear, power windows front, automatic climatic control, remote trunk opener, air quality control,low fuel warning light, remote fuel lid opener accessory power outlet,vanity mirror, trunk light,rear seat headrest, rear reading lamp, rear seat center arm rest, cup holders rear, cup holders front, height adjustable front seat belts, rear a/c vents,multi functional steering wheel,lumbar support and cruise control. Additional safety features included are anti lock braking system central locking, brake assist, anti theft alarm, passenger airbag, driver airbag, side airbag, side airbag rear side airbag front, Day & night rear view mirror,traditional control, adjustable seats,xenon headlamps and keyless entry. The vehicle has been thoughtfully designed to keep its passengers happy. Interior trim is similar to Passat. It has full climate control and it can be diverted into various storage compartments which helps in keeping the food as well as drinks cool. Air vents are integrated in the rear of the vehicle in order to keep the passengers fully satisfied. The stereo has single in dash CD player and radio. The seats of the vehicle are firm as well as supportive, steering can be adjusted for rake and height. Controls are logically placed as well as easy to use. The looks of the vehicle gives shivers to all luxury cars in India. Even Mercedes entry level, BMW or Audi car are compared to superb in terms of looks. Few high points in exterior appearance of the vehicle include generous use of chrome which has helped in escalating the luxurious look, flowing lines and creases throughout the body, twindoor at rear end with 16 inch alloy wheels have also helped in enhancing the look. Buyers who are interested to view the Skoda Superb pictures can visit the photo gallery of skoda cars and Skoda has launched the limited edition of rapid, known As Leisure.